Teachers can incorporate fun alphabet games into the curriculum to help teach lower and upper case letters. 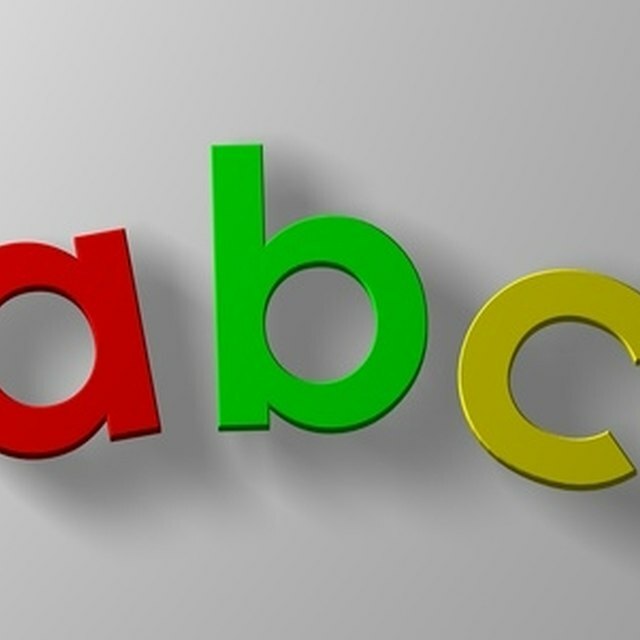 Learning lower and upper case letters is a monumental time in a child’s education that lays the groundwork for reading and language comprehension. Before children can learn the content and meaning of words, they must first learn the mechanics of handwriting. 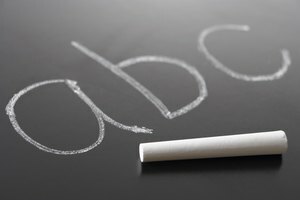 There are multiple theories in the world of education regarding how teachers should educate students about lower and upper case letters. Knowing some of the different methods of teaching letters can help you find a solution that best works with your class. Some educational sources such as Handwriting Without Tears use a platform that dictates teaching upper and lower case letters separately. The thought is that upper case letters are easier to learn from a developmental standpoint, and that by teaching them first, students can learn correct orientation and format without having to deal with reversals. 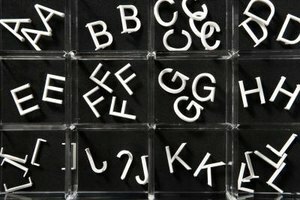 It is also believed that this method will make transitioning into learning lower case letters easier for students. Letter segregation may not be the right method for every class of students, but it is an option to be considered. On the flip side, Brain Pop Jr. advocates teaching both upper and lower case letters together. 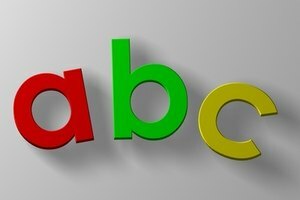 It suggests that having a content-enriched environment with both letter cases present will help students better understand when each letter is meant to be used. This method is more advanced, as it teaches skills that many students learn the following year. Brain Pop Jr also encourages both letter cases be integrated into such educational games as upper and lower case tic-tac-toe, in which children make their own bingo cards and draw letters from a hat to help them learn both cases of the ABCs. 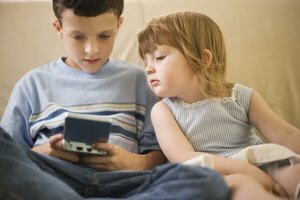 Kids love video games and technology, and app developers have been quick to create platforms upon which children can learn about letters. Some teachers are using iPads in the classroom to help teach a variety of subjects, including letters and handwriting. ABC Pocket Phonics by Apps In My Pocket Ltd. introduces letter sounds and writing, as well as first words. Children can write letters with their fingers on digital handwriting paper and receive automatic corrections for letters not written appropriately. If there aren’t enough iPads for each student, teachers can assign iPad learning as special rewards to students who complete other tasks early or who demonstrate good classroom behavior. There are a number of fun classroom games and crafts teachers can offer students that will help them learn their letters. According to Texas Tech University, using games in the classroom enhances child development and helps get them more deeply involved in active learning. Some fun game ideas include letter dominoes, which is appropriate for large groups and teaches students to match lower case letters to their upper case counterparts. Children can also engage in fun crafts such as making upper and lower case letters by shaping brightly colored pipe cleaners. You can also take your class out onto the pavement and assign students specific letters to draw with colored chalk. How Can Technology Be Beneficial in a Kindergarten Class? Saunders, Jen. "How to Teach Lower Case & Upper Case Letters." Synonym, https://classroom.synonym.com/teach-lower-case-upper-case-letters-12294433.html. Accessed 18 April 2019.